We have a number of really nice Vie-Long Travel bags that we will include with all orders of $175.00 or more (while quantities last). 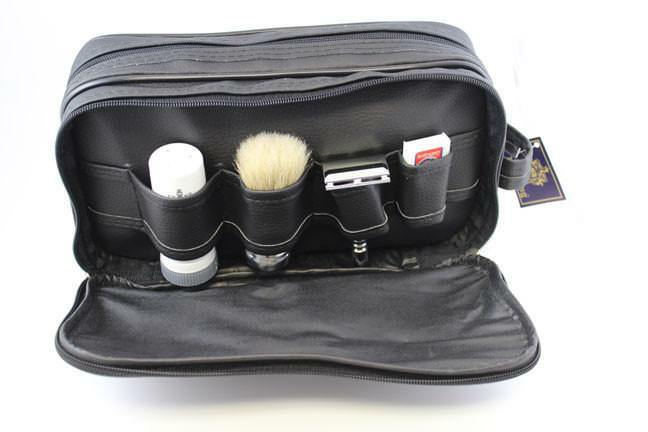 All of the bags come equipped with a double edge razor, a shave stick and a pack of blades. This makes a great gift -either to yourself or to someone else. The travel bag has a $65.00 value.